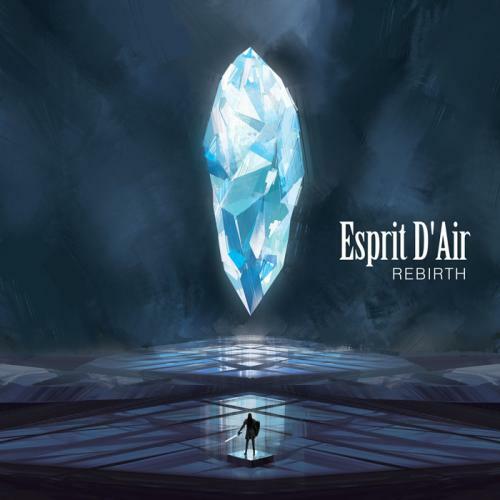 Recently-reformed J-Rock band Esprit D&apos;Air have just shared with us their new cover artwork for their forthcoming single, Rebirth. The exceptionally striking artwork was digitally painted by their own drummer, Daishi. Rebirth will be released worldwide on iTunes, Amazon and Google Play on December 14, 2016 with a two-date tour in Europe to follow shortly after its release. JPU Records (the GazettE, POLYSICS, Crystal Lake, BAND-MAID) describe that the band are "producing tracks that excite us much more than any recent visual kei or J-Rock from Japan”.